Today’s Spotlight feature is an introduction to one of our student volunteers. 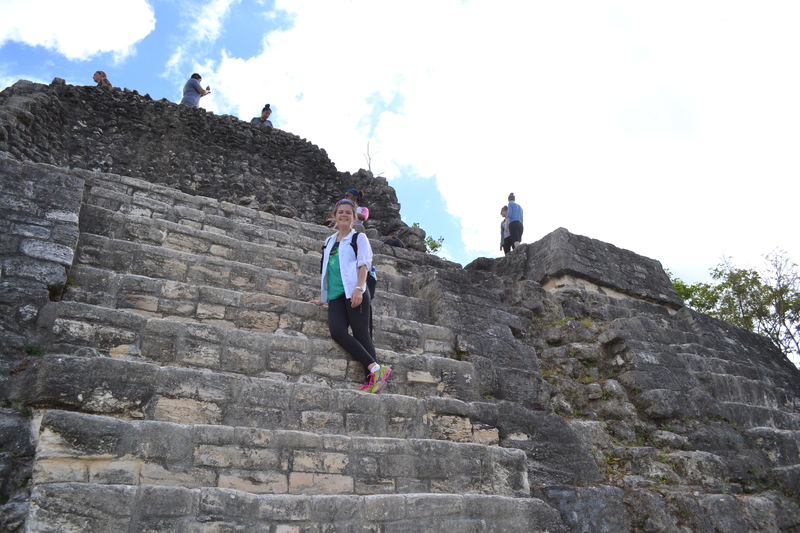 Elizabeth exploring the Maya site of Lamanai in Belize. My name is Elizabeth Coggeshall and I am a senior at the University of Texas at Austin. I currently work at TARL as a volunteer, under the supervision of Stacy Drake in the Osteology Lab. Some of the projects I have been pursuing are cataloging the collection of human remains and comparative analysis of the remains. My background is in Biological Anthropology. I’ve taken various courses, such as human osteology, human evolution, primate evolution, primate behavior and ecology, conservation, and some genetics. Archaeology became one of my interests after I took human osteology and discovered an interest in bioarchaeology and primate morphology. I went to the Belize Field School this past summer and worked in the field with Stacy Drake and Annie Riegert excavating human remains. This archaeological experience confirmed my interest in studying human burials practices and documenting human remains. After I graduate in spring 2017, I plan on returning to field school and eventually pursuing a Ph.D. in Primatology. My experience working at TARL and in the field has showed me that I love fieldwork, lab work, and working with remains. I hope to be able to study extant primates, use my knowledge of osteology and apply it to their morphology, and continue to work as a bioarchaeologist studying human burials. Volunteers make so much of TARL’s work possible. Thank you to Elizabeth and all the students and community members who volunteer their time to help us preserve Texas’ archeological resources. Click here to learn more about volunteering at TARL! You had good training for this growing up with your brother !